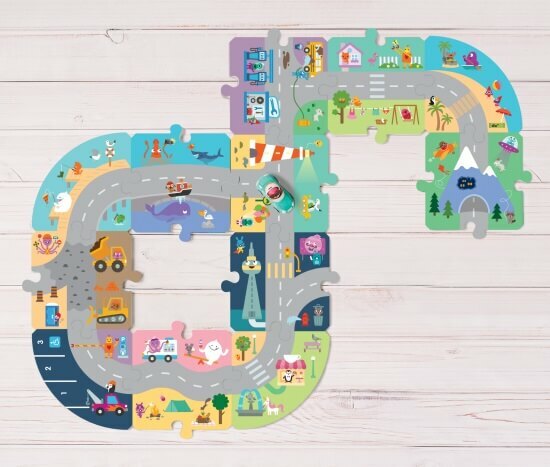 Sago Mini Puzzle Mats combine classic foam mats with the fun of customization. 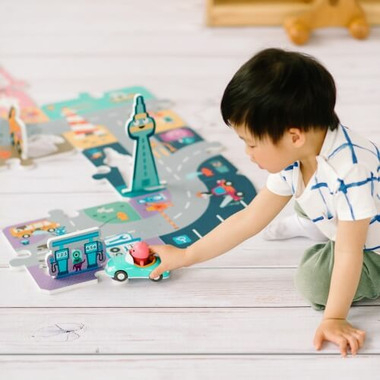 With 12 different tiles featuring beautiful Sago Mini art, kids can make different towns and roadways to create their stories. With the included Robin figurine and a sleek roadster, you're always ready to hit the road. Just like all of their packaging, there's a surprise inside! 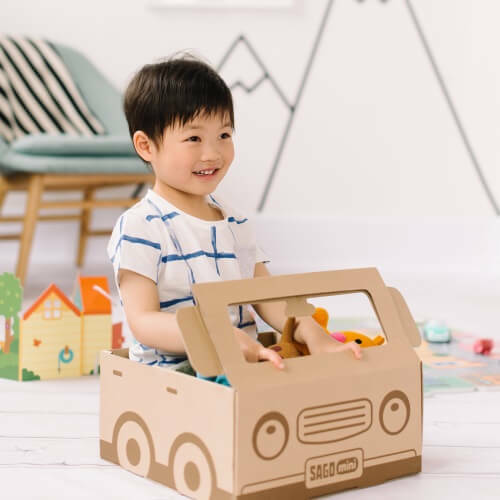 The box transforms into a cardboard car to take your plushies out for a spin. 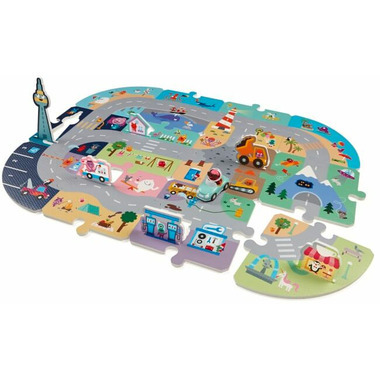 Robin’s Roadtrip Puzzle Mat features 12 interchangeable foam printed city pieces with pop out building sections for countless combinations. Includes Robin the bird figurine, 1 car, and 4 play accessories including the CN Tower!